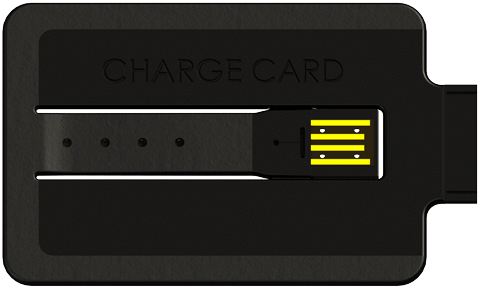 In my promise to cover all that is new and cool in the credit card realm, I present to you the “ChargeCard,” which isn’t a credit card at all. In fact, it has nothing to with charging credit, despite what the name may insinuate. It’s actually a USB charger that is the size and shape of a credit card. Okay, it’s a little bit thicker, but the company says it will fit in your wallet just fine. It’s pretty simple really. The credit card-shaped device, which is only 2.54 millimeters thick (0.1 inches) is made of plastic, and has one flexible foldout arm. The piece that folds out of the “card” is plugged in to the USB port on your computer, ideally a laptop (it can also be connected to game consoles, cars, and TVs). Once that piece is plugged in, you plug the other end of the card in to your smartphone or other compatible device. 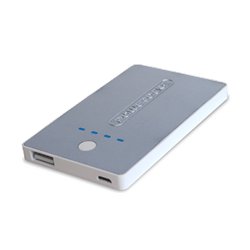 It can charge your device and/or transfer data, whether it’s an iPhone 4, iPhone 5, or another model. The company even has a model for Android, Samsung, or any “Micro USB” device. All three models are priced at $25, though if you order 20, the price drops to a much more reasonable $360. Shipping is free worldwide. And if you take a picture of your ChargeCard in action, and the company likes it, they’ll send you another ChargeCard free of charge. For the iPhone 5 model, it says shipping begins in mid-May, and for the Micro USB model, you’re looking at a ship date beginning in mid-March, so be patient. At first glance, it’s a pretty neat device, and certainly makes for a more convenient experience for the gadgeteer on the go. After all, you don’t need to carry bulky wires around with you wherever you go. But at the same time, it still relies on an ancillary device, instead of being self-sustainable. What would make this product really cool? The ability to charge your iPhone with the credit card-sized device alone and nothing else. Of course, that’s a big ask of any tech company, so for now this is as good as it gets. For the record, the company is funded by Kickstarter, an all-or-nothing funding platform for all sorts of creative projects. I funded one a while back for a Detroit housing project, which you can see here. Check out some other cool credit card designs, including the credit card knife and fork, and the gold bar the size of a credit card. If those don’t do it for you, there’s also the credit card bottle opener. The Tarot is able to provide an emergency charge to smartphones, tablets, cameras, and other mobile devices quickly while on the go. 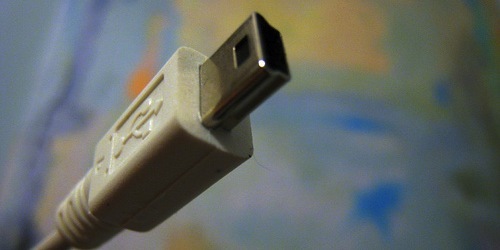 To charge a device, you need to connect the included Micro USB cable or use a USB adapter for iPhones and other devices that don’t use Micro USB. It has the same dimensions of a credit card, but is considerably thicker, with a height of 0.28 inches. Still, they claim it is designed to fit it in your wallet. But wait, there’s more. 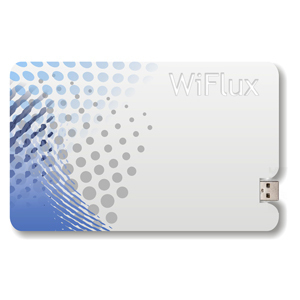 Another company by the name of “WiFlux” says it has created the “world’s first wireless portable power in a card.” It actually appears to be the same shape and size of a credit card, and possibly just as thin. This one works a little differently – basically all you have to do is place the razor-thin device on the back of your phone, in between the phone and the case. It will then charge the battery automatically. Of course, it’s still in development, with a funding goal of $100,000 needed to see it through. Previous Previous post: One in Four Credit Reports Contain Errors! Next Next post: What Credit Cards Do the Big Box Stores Accept?